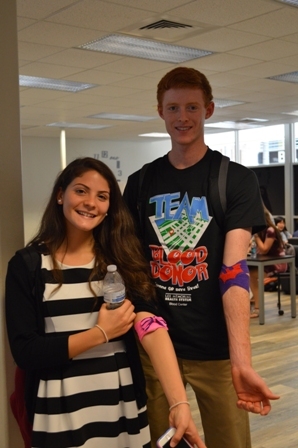 Bishop Verot High School students participated in the semi-annual Blood Drive this past week. The Blood Drive, sponsored by Lee Memorial Health Systems, was open to all students 16 years and older and meeting minimum weight requirements. Verot students made a difference by giving the gift of life, donating 40 units of blood. Participating seniors are also eligible for a college scholarship for their donation.